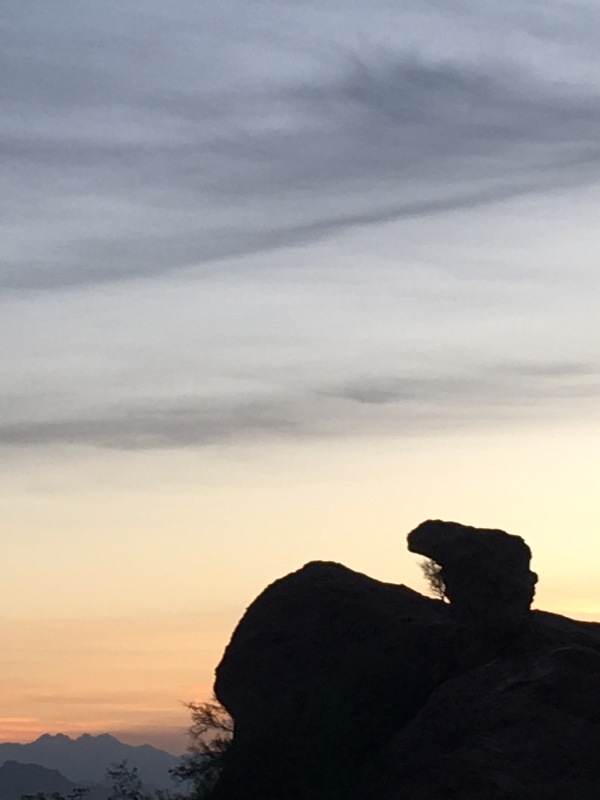 Went out for an early morning bike ride, and took this shot of one of my favorite views: the little camelhead on the hill overlooking Tempe Town Lake, with Four Peaks in the background. 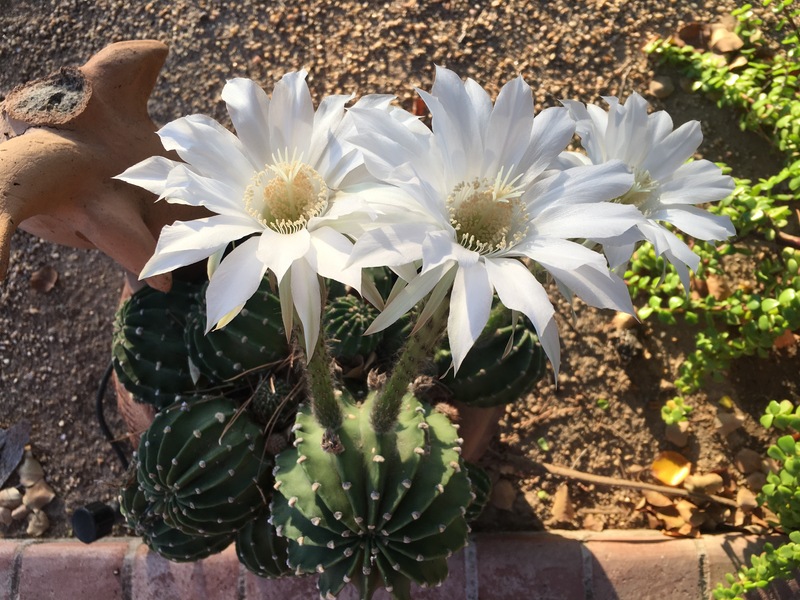 When I got home, I was greeted with three blooms on the “Easter Lily” (echinopsis oxygona) cactus on the front patio. 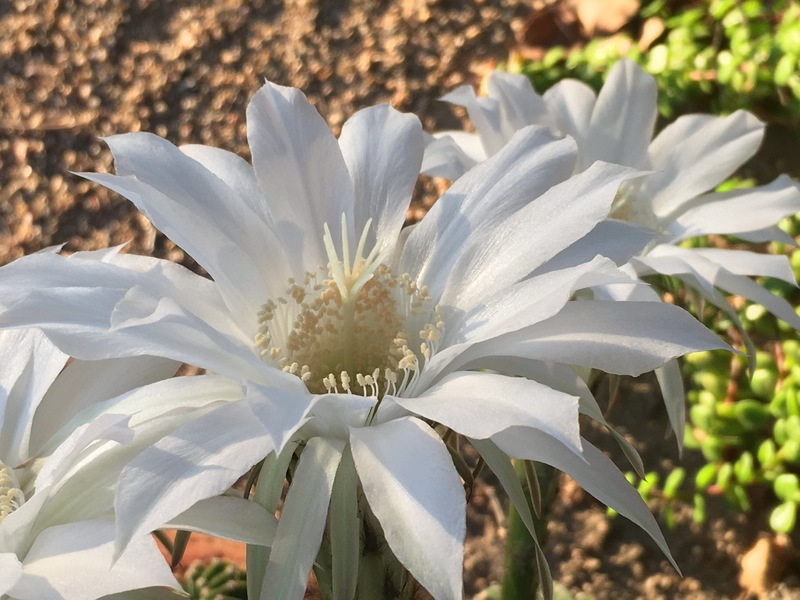 The echinopsis (“hedgehog-resembling”) genus is not native to this continent. It is generally known for funnel-form flowers on long tubes. Our oxygona started as a couple of buds in a flower planter that were here when we moved in almost 20 years ago. They continued sprouting buds, which are easily broken off. Due to their rounded shape, they rolled to other areas where they took root. 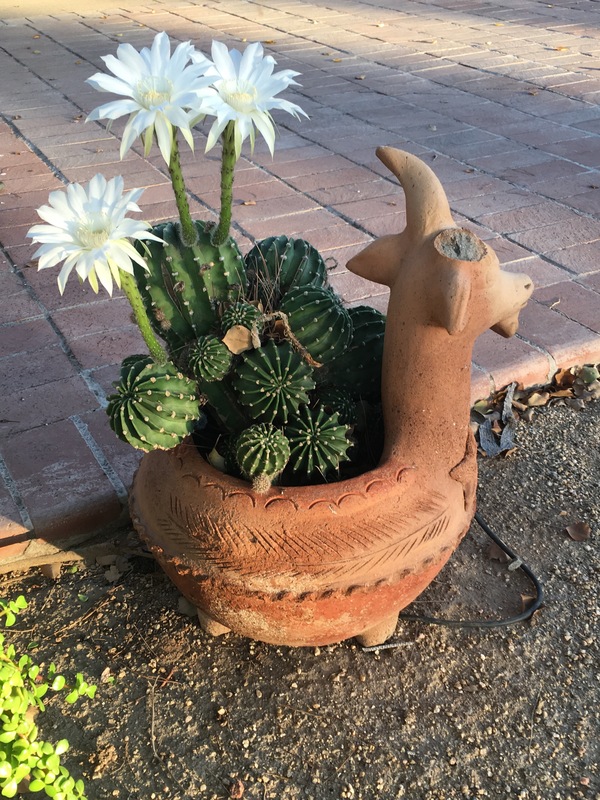 Occasionally we’d pot them. They begin flowering in late spring (around Easter, perhaps the origin of the common name of Oxygona) on a schedule that otherwise eludes me but seems to end in late fall. Each flower only lasts one day. In the early morning light, the petals look like they are made of silk.